Indicated for the symptomatic relief of ocular irritation and dryness. Artific is a medicine belonging to the group of artificial tears. Artific is indicated for the symptomatic relief of ocular irritation and dryness. You should consult a doctor if worsens or does not improve after 7 days. Do not use Artific if you are allergic to hypromellose or any of the other ingredients of this medicine (listed in section 6). Consult your doctor or pharmacist before you start using Artific. If irritation, pain, redness or changes in vision or if you think your situation worsens occurs, stop using this medicine and check with your doctor or pharmacist. Wearers of soft contact lenses should extraérselas before administration of this medicine and wait at least 15 minutes before colocárselas again. In intraocular application, they have not been described to date, interactions with other medicines. There is no experience regarding the safety of this product during pregnancy or breastfeeding. There have been no effects on the ability to drive or use machines using Artific. Follow the instructions exactly this medicine provided by your doctor or pharmacist. If in doubt ask your doctor or pharmacist. Artific only be used topically as eye drops. The recommended dose is one drop into the eye 3 to 5 times a day or, if necessary, more frequently. The treatment of dry eye syndrome requires an individualized dosing regimen. Do not use after elapsed six weeks of opening the bottle. If you have used more than Artific should consult your doctor or pharmacist. No adverse effects eye overdose are known and no effects of overdose are anticipated with the route of ophthalmic administration. 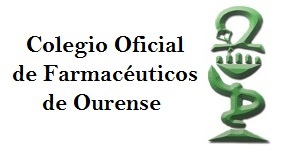 In case of overdose or accidental ingestion immediately seek medical center or call the Toxicology Information Service on +34 91 562 04 20, indicating the medicine and the amount taken. Uncommon (between 1 and 10 in every 1,000 patients): burning sensation, blurred vision and sticky eyelids. Discard 6 weeks of opening the bottle. Do not store above 30 C.
- The active substance is hydroxypropylmethylcellulose (Methocel F4M), 1 ml solution contains 3.20 mg hypromellose. - The other ingredients are cetrimide, sodium dodecahydrate hydrogen phosphate, sodium dihydrogen phosphate dihydrate, disodium edetate, sorbitol (E420) and water for injections. Artific is a colorless, transparent solution without particles. It comes in a plastic dropper bottle containing 10 ml of solution.